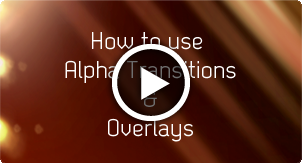 To learn about alpha transitions and what they are please click here, for a review on alpha transitions please click here otherwise select an icon below to find out more about each product... Student discounts available, contact us for more information. A selection of dynamic, freely interpreted transitions coming in a variety of shapes, colors and lengths that offer alternative solutions to standard transition effects. Scroll down to preview the contents of this pack. *Download links will be emailed to you, if you have not received it in your inbox, please check your spam folder, links expire after 24 hours. **Clips MUST be exclusively viewed and used inside an editing or compositing application, see manual for more details. Light Transitions Pack 2.0 picks up where Light Transitions Pack 1.0 left off with more dynamic freely interpreted transitions coming in a great variety of shapes, colors and lengths that are sure to add a sophisticated touch to your edit. They may suit a wide variety of productions including promos, sport, music, news, corporate, creative videos. Whether you need a stylish, quick and simple alternative transition or a more colorful and complex one you can choose among 45 different effects and modify them in many ways. Use your software or third party effects as well as the built-in video controls (Scale, Rotate, Opacity, Blend Modes or Speed Change) to modify the look as desired. All transitions come with transparency already in place and are full HD ProRes 4444. They can also be purchased as a bundle with Light Transitions Pack 1.0. * This tutorial demonstrates how the clips are used within an editing programme. Click on the thumbnails below to get a preview of each Light Transitions clip. Clips are low resolution and should only be viewed as a sample, please download some demo clips to get a better idea of the quality. Compatible with all versions from 2009 onwards of After Effect, Premier Pro, Avid Media Composer, FCP 6/7 and X, Motion, Resolve on PC and Mac. The current date and time is Tue 23rd April 2019 :: 02:11:45 at Luca Visual FX Studio in London.